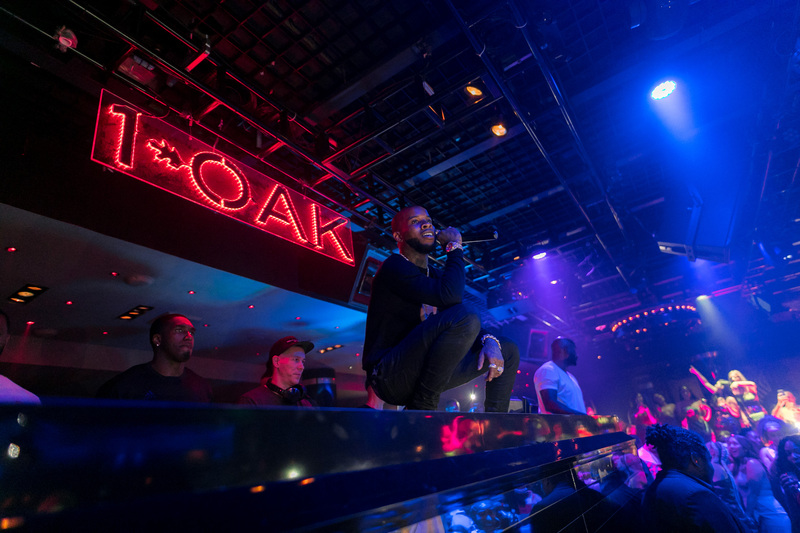 LAS VEGAS (Jan. 10, 2019) – Global hospitality company, Hakkasan Group, announces the eagerly awaited 2019 artist lineup for its internationally recognized nightlife destinations, JEWEL Nightclub at ARIA Resort & Casino and 1 OAK Nightclub at The Mirage Hotel & Casino. In addition to award-winning artists Steve Aoki, Tyga and Tory Lanez returning, for the first-time ever a series of emerging artists presented by internationally recognized DJ Drama’s label, Generation Now, will make their official Las Vegas debut. GRAMMY-nominated, Tyga, will return to JEWEL Nightclub as a resident headliner for a second consecutive year, continuing to deliver unforgettable performances to fans with countless hits including “Taste,” “Rack City,” and “Loyal.” The multi-talented artist has collaborated with A-lists stars Chris Brown, Nicki Minaj, Lil Wayne, Drake and Snoop Dogg. Additionally, music maven DJ Drama brings his Atlantic Records label imprint, Generation Now, to JEWEL Nightclub offering a diverse collective of up-and-coming artists including breakout sensation Jack Harlow, female rap impresario Killumantii, hip-hop veteran and Generation Now co-founder DJ Don Cannon, and more. For individual artist photos, click here. For all artist announcement video, click here. Hakkasan Group is a worldwide hospitality company with establishments across North America, Europe, Middle East, Asia and Africa. Its namesake is taken from its Michelin star restaurant that set the high-level standard for the group’s collection of diverse brands. Its ‘brand first’ philosophy builds restaurant, nightlife, daylife and soon-to-open hotels, resorts and residences into world-class hospitality brands, all with a focus on service, design, innovation and experience. Its restaurant portfolio includes Hakkasan, with 11 locations worldwide, Ling, Yauatcha, Sake no Hana, Herringbone and Searsucker. Under the nightlife umbrella is Hakkasan, OMNIA, JEWEL and 1 OAK Nightclub; and daylife brands include WET REPUBLIC, LIQUID, OMNIA and Bare. For more information, visit www.hakkasangroup.com or connect with us on Facebook Twitter and Instagram @hakkasangroup.